I have been out of action these past three days at a conference to do with Islam (check out here), which ironically is not altogether unrelated to the story I am about to reflect on, given it is about an act of terrorism by one person who identifies with ISIS. As is often the case, upon returning to the fray, one wonders what has been going on in the big wide world while one has been away! Besides the news of an England draw in the first of its match in the football Euro championship (sadly, along with scenes of violence) the main news story is of yet another gun based massacre of innocent, unprotected victims, having taken place in the USA. There are many stories available on the web. One newspaper report is preceded by the headline: “Orlando Nightclub Shooting: Mass Casualties After Gunman Opens Fire in Gay Club” and goes on to elaborate: “At least 50 people were killed and more than 50 others were wounded when a gunman opened fire and took hostages at a gay nightclub in Orlando, Florida, early Sunday morning”. The first thing for any wanting to sensitively reflect on such events to do is express feelings of shock and sorrow followed by wanting to comfort and stand with those affected by the incident. But soon after, questions are asked, as is evidenced by the postings of several of my “Facebook friends”. I don’t want to go through these in detail (although the image below is one that another of my friends has posted, sentiments of which I agree with) but rather pick out two, giving differing, although not altogether contradictory, perspectives and ideas of what could and should happen next. While others have chipped in with profound and pertinent statements, including making further calls to the need for tighter gun control, it is the remarks of these two men I will focus, given they represent two quite different audiences when it comes to considering the prevailing culture. Regarding Peter Tatchell’s remarks, I have no doubt there is a homophobic element behind the attacks although equally there is often a tendency going by evidence in the more recent past to attack any “soft” target and these attacks are usually in-discriminant. It is sadly ironic that gay folk who meet in what they see as a safe haven from a world that often appears hostile should have been so targeted. Even so, as a society we must protect our most vulnerable and gay folk are often just that. 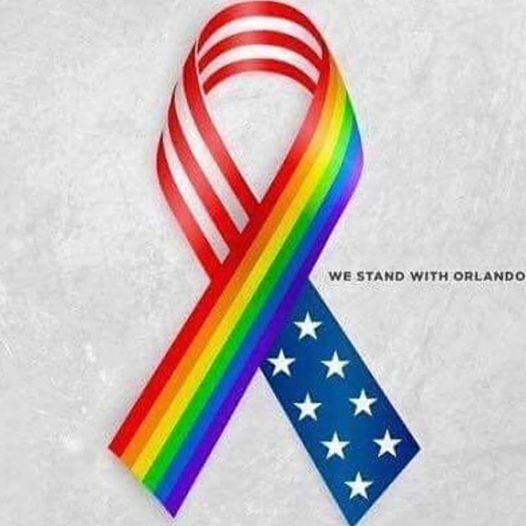 While I note there is anger at the recent presidential candidate’s “homophobic” views, it seems churlish to dismiss his expressions of condolences or to blame him in any way for the attacks, who I have no doubt is as horrified as the next person at what has taken place. As for Franklin Graham, while he does not always get it right, and even a few days ago I took issue with his remarks supporting the Israeli government, he does in my view understand the threat of Islam in way governments often don’t. He was right to take issue with the President for not declaring this was an act of Islamic terrorism rather than mere terrorism, where Islam was an incidental factor. While I agree we must guard against Islamophobia and recognize that the vast majority of Muslims living in the USA are law abiding citizens that would share the same abhorrence as non Muslims, I cannot disagree with Graham’s rebuke that President should recognize Islamic terrorism for what it is. While I might take issue on his tightening borders and increasing military spending ideas (he is even sounding more like Donald Trump, who is already indicating his feelings of vindication for having made the comments he has), I believe unless we can identify what the threat is and what are the root causes we will be unable to stop future occurrences. We need more than righteous indignation rhetoric, illiberal tolerance and ineffectual sledgehammer approaches to prevail. Islamophobia and homophobia are unacceptable, and it is quite right to challenge such views wherever these are propagated, yet trying to stop people holding them nowhere nearly enough addresses the issues facing us. When it comes to what we need to do next, I do not side with anyone in particular, and all I do is to state the obvious. What is becoming increasingly apparent, is what we are seeing now is not a one off. There have been too many occurrences in western lands of not so dissimilar ilk in recent years to say that. Some of the perpetrators have been “Christian” although most of the perpetrators have been “Muslim”. A sense of proportionality is also needed, as this type of happening is a regular occurrence in many non-western lands, as I learned over the weekend, and most of it goes unreported. A good many people live in daily fear of their lives because of the threat of terrorism by Islamic extremists. It is regrettable we don’t see the same shock and outrage when that happens as we have here. While we need to stand with the victims, especially the most vulnerable, and against the perpetrators of terrorism, we need to be unafraid when it comes to asking the difficult questions, face the fact there is a sizable minority who support terrorism on religious grounds and seek solutions that will go toward protecting people from harm. ← Charity begins at home (2)! ?